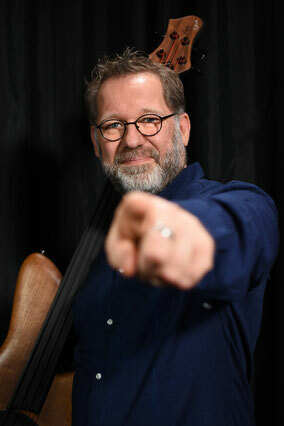 What one musician hardly could do on a piano or guitar Ralf Gauck succeed on bass: the polyphony. He plays in a fascinating balance melodies, bass lines and rhythms, like its the most normal thing in the world. Gauck plays without technical aids, created orchestral sounds with only 4 strings on his own style. 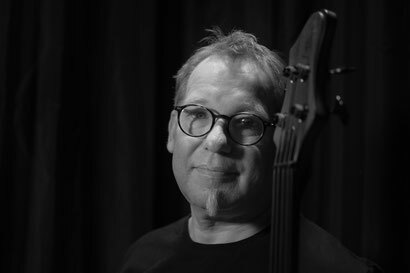 Ralf Gauck has redefined the bass playing. His playing style gives him the status, to be unique in Europe and thus to present a two-hour solo concert. The press calls him "Basswonder," the audience "master of the soft sound" and the German Popstiftung awarded him the German Rock & Pop Award in 2007, 2008, 2010 and 2017 in the categories "Best German Bassplayer" and "Best German Instrumental Soloplayer". The world famous weekly press DIE ZEIT posted his CD FIELDS OF GOLD in the highscoretable "best CDs of 2007"
He was invited to prestigious festivals around the world, such as the Guitar Festival Ballainvilliers / France, the Bassday UK in Manchester or the world's largest Beatles festival, "Abbey Road on the River" Louisville / USA, "Beatle Week" Liverpool / UK, Nemzetközi Akusztikusgitar Festival / Hungary or the "Open Strings Festival" in Osnabrück. In addition, he can boast to have played as the first and only bass player in the world's most famous music club, the Cavern Club in Liverpool / UK a solo concert. His CD FIELDS OF GOLD even was supported by STING. Gauck has high claims. For this reason he recorded his music in the world-famous "Abbey Road Studios" / London or in the "Rainbow Studios" / Oslo. 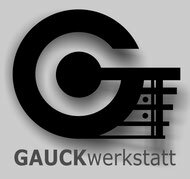 Ralf Gauck worked with artists such as Michael Manring, Sandor Szabo, the instrumental ensemble Chantal, Tony Sheridan, Bob Bonastre, Peter Ratzenbeck, Chris Jones, Kosho (Söhne Mannheims), Jacques Stotzem, Andres Godoy, Claus Boesser-Ferrari, Herman's Hermits or the Wings drummer Denny Seiwell. He produced refernez CDs for the company Bose and Dynaudio and works as a author for European magazines.
" ... At last! A solo bassist who actually plays a melody and not just slapping and weird noises! I could listen to this for hours. Brilliant. Please keep sharing your music. ... "
"... WOW! That song was beautiful. The bass, incredible. I don't like single cut bass but I could totally make an exception and look the other way. The melody has such a soothing tone, I've listened to it around 20 times … "
"... Ralf Gauck is one of my favorite bassists. He relishes in the harmonic/melodic classical fingerstyle instead of going off into crazy slap mode like many solo bassists do. … "
"... I usually don't care too much for solo bass playing. I tend to enjoy a lot more the contrast between the bass and the other instruments. But this piece of music is too beautiful not to like. Thank you, Ralf … "
"... Beautiful! First video I see from the beginning to end in a while. A pleasure to hear real music for bass. Thanks a lot. … "